When it comes to home decor, nothing makes quite a difference like good lighting, and different lighting styles can completely change the mood of a space. For instance, if you want to add an elegant or dramatic feature to your space, you should shop for a pendant or multi-tiered chandelier. Installing a dimmer gives you the power to create a romantic or even relaxing atmosphere with ease. Whether in a pair or alone, Hudson valley sconces are a great and easy way to liven up a blank wall and elevate your space, and they can blend seamlessly with your decor. Sconces can be both feminine and élégant, or they can be modern and industrial, and they come in a variety of finishes and shapes. Add a hint of sophistication to your room without throwing off the balance of your space with these six decorating tips for sconces. There are a lot of aspects of a renovation that you have to keep in mind when updating a living space, and lighting is one of the more important of them. It doesn’t matter which room in the house you are renovating, lighting is key to getting the right feel in your environment—and to tying your decor together. Some spaces would look best with chandelier lighting, but sometimes you just don’t have the space to put one in; you may have a high ceiling, but not enough width to the room, or maybe you have a ceiling that is too low to accommodate one. Pendant lighting gives you the elegant lighting of a chandelier without the space requirement, and Minka Lavery pendants can be the best choice for bringing a room in your home together with an elegant and traditional feel while still providing quality lighting. The fact that you are likely reading this online testifies to how ingrained our culture’s transient and casual consumption habits are; this cultural behavior is supported by the ephemerality of the objects that we consume—from information online to more or less disposable material goods. But for all that, it shouldn’t be a luxury to own a well-made, heirloom-grade piece of consumer-wear. This is particularly true of one’s own home—possibly the least fleeting of material goods in our lives, and one that can be passed on down through the generations to remain a fixed site of beauty in one’s community. It makes sense to furnish your home with pieces that will endure just as timelessly and heartily as your house. Lighting falls into that odd category that neither really belongs to furniture nor to fixed structural features: lighting helps both to make a space and to make a space seen. To make the most out of your investment in lighting décor, you must make sure to choose the type of lighting instalment that best suits your home—be that a Hudson Valley sconce, a floor lamp, a chandelier, pot lights, or a combination of these. It is the small things in life that truly matter, especially when you are designing or renovating a space. 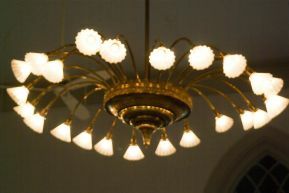 We all know that lighting has a big impact and can really define a room, but so does the design of the fixture itself. Hubbardton Forge pendant lights come in many shapes, sizes, and styles, but how do you pick the right one? There are three components to consider when shopping for your next Hubbardton Forge pendant light. 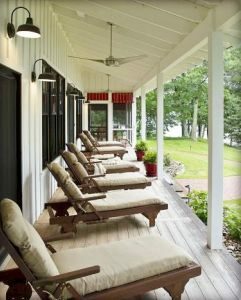 With the summer upon us with its hot temperatures, you may be thinking of energy efficient methods of keeping your home cool, but still stylish. Ceiling fans can offer your home a glimpse of style and luxury while giving you the utility of better air circulation that can keep the heat under control in your home. But with so many styles and types on the market, how can you decide on what will be right for your living spaces? Casablanca ceiling fans offer a variety of styles and colors to match your decor, from indoor to outdoor fans, and fans with or without lighting. If you are looking for a ceiling fan for your home, look no further than Casablanca ceiling fans for their exceptional quality and timeless design appeal. What’s special about choosing pendant lights to illuminate your home? Pendants have become a very popular choice for many reasons, and Seagull Lighting pendants offer an excellent selection. Browse through and you will find what you are looking for. However, if you are not sure if pendant lights are the right choice, then read on to learn a bit more about what sets pendant lights apart from other lighting choices. A ceiling fan is no ordinary temperature control device. It can have lighting as a part of its design, or it can be just as attractive strictly as a design item. In fact, the best ceiling fan, when it is doing its job, isn’t noticed at all. It should blend so well into the decor of its space that, when it is pointed out, it becomes a real ‘wow’ item. How can you know that you have found just the right ceiling fan? Have you noticed how much choice there is available in a ceiling fan? Casablanca Ceiling Fans are a cut above the average in every way because they don’t go light on choice or usefulness. Not all ceiling fans are created equal, and Casablanca ceiling fans prove it by checking off every box you are looking for — before you know what you are looking for. Whether you are moving into a new home or looking to renovate a home you’ve been in for a long time, lighting is a very important aspect of your home decor that you want to get right. There are many types of lighting options available, and it can be very overwhelming to be able to try to choose. If you are looking for lighting for a hallway, dining room, kitchen island, or for several other locations, then Seagull Lighting Pendants might be what you are looking for.